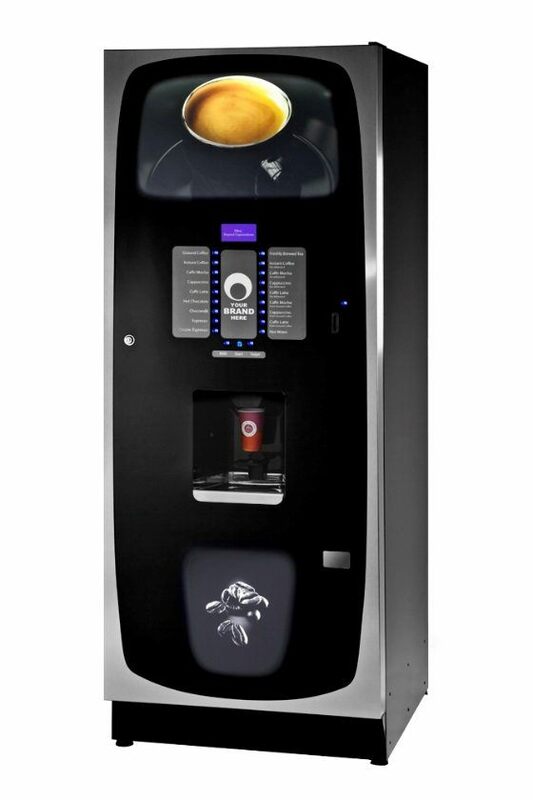 Manufactured by trusted brand Coffetek™ made in Britain, the cutting-edge Step hot drinks machine stands out due to its stunning design and proven robust technology and simplicity when it comes to vending drinks. The smoke-finished glass tops off the sleek design while incorporating the state-of-the-art touchscreen selection menu that is located below. The 12 inch-display screen walks customers through the vending process. 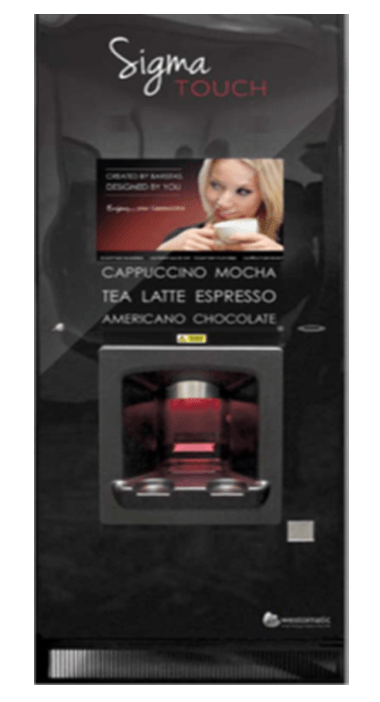 This branded hot drinks machine offers a premium, classic, and Fairtrade range that is ideal for offices, call centres, or universities. The extensive drinks choice combined with the slim and elegant design of the unit makes it well suited to a wide variety of applications. 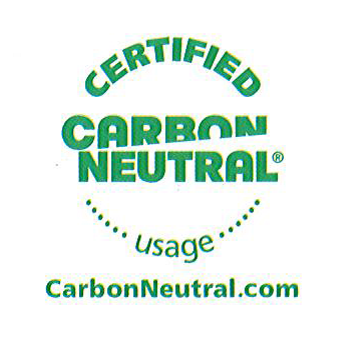 The Pour Moi also has a recycling unit as an additional extra that can hold up to 500 cups. 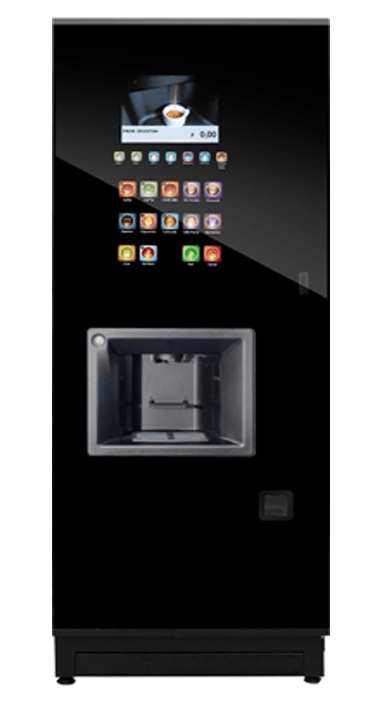 The Sigma Touch encompasses the next generation of vending while maintaining the simplistic selection process associated with traditional vending. This award-winning machine has an inbuilt 19 inch high definition display that also doubles up as the touchscreen menu. The wide variety of drinks, including syrups, is sure to satisfy any customer tastes but also, partly due to the walkthrough display, keeps the process simple and easy to use. This versatile hot drinks vendor is an ideal solution for all locations. Offering instant, fresh brew, roast, and ground bean-to-cup drinks, the Voce is able to rapidly dispense any of the extensive range of drinks available, making it suitable for a fast-paced environment while maintaining its operator-friendly characteristics and also being quick and easy to clean. 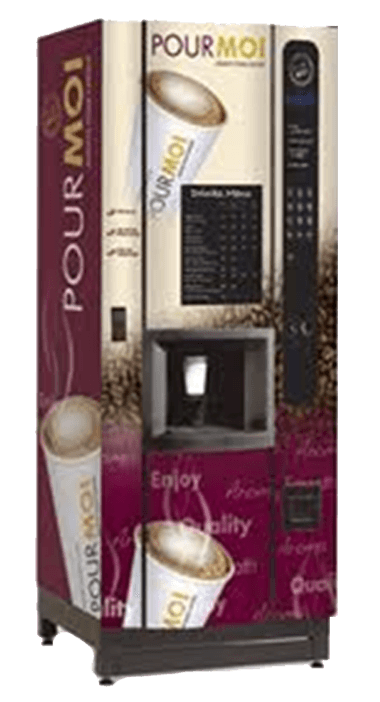 Contact us to learn more about our variety of vending machines.